Chris Nolan’s film is a year too late. “It’s gravity,” says Cooper (Matthew McConaughey), as a group of scientists discuss the situation – and possible solutions – on a failing Earth. Pretty soon the audience will be thinking the same thing, as a plan to relocate humanity to another world turns into a space adventure much like Alfonso Cuaron’s 2013 Oscar winner Gravity. It’s not the only comparison the film draws, as clan Cooper appears to be living on the farm out of Signs (although it’s their truck making the crop circles, as they chase down rogue drones still in flight, as Cooper clings to his dream of becoming an astronaut despite being forced to be a farmer). The story’s world building is solid, as a planet hit by dust storms and blighted crops is fleshed out in Band Of Brothers-style interviews. 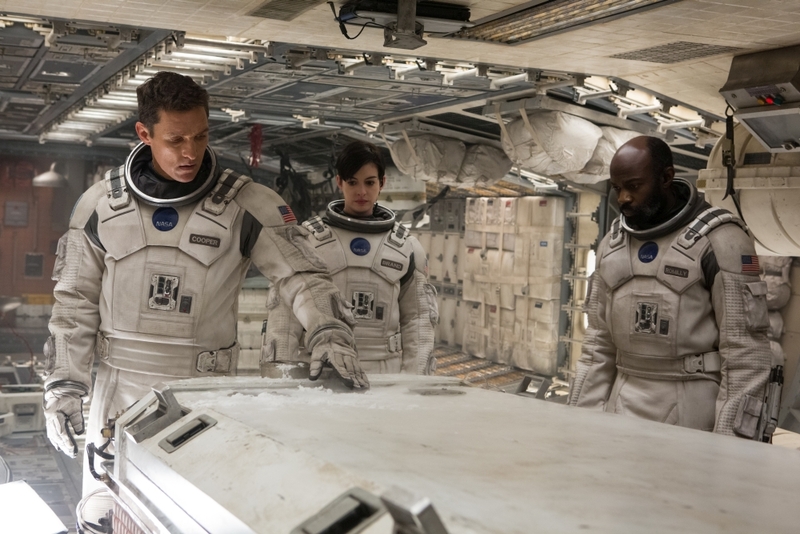 Where Interstellar aims higher is in its ambition – and this is one of the most ambitious films made this year – to merge a tense family drama with a rollicking space yarn. McConaughey proves a wise casting choice in that regard, as he helps bring heart to proceedings, but the human element does get a little lost once he takes one large step and signs on for the mission. The dialogue also suffers on occasion. Two scenes in particular, one of them clearly designed to tug an audience’s empathy, instead produce titters of laughter. Despite this, there’s still a crushingly weighty moment when Cooper recognises the consequences of his actions. Exciting, emotional, technically proficient and with aspirations of greatness, this modern space odyssey falls just short of Cuaron’s film. But it’s easily the best film you’ll see this year about astrophysics, mathematics and relativistic space travel. 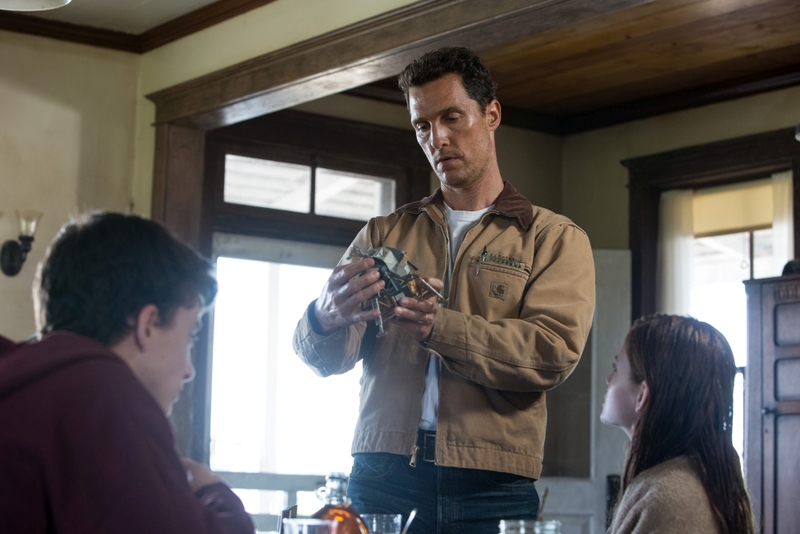 Summary: A review of Chris Nolan’s Interstellar, starring Matthew McConaughey.